Waterproof thermal utility gloves have a Hipora water- and windproof-liner and 40g 3M Thinsulate insulation. The palms and fingers are PVC reinforced and made of Amara synthetic leather. Plus, for comfort and security, the gloves feature a spandex back and a nylon/spandex cuff with hook-and-loop closure. Foam knuckle pads add protection, while terry-thumb brow wipes add convenience. 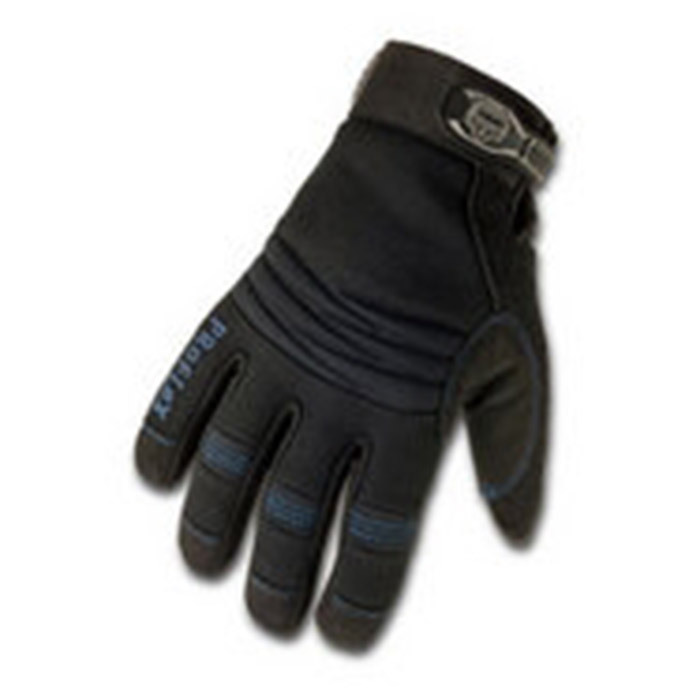 The 818WP Gloves are machine washable, abrasion resistant, and CE Approved. Black. Sold in pairs. Available in sizes L, XL.